"God forbid if something would happen to my family, but if it did, I would come straight to Frank Kearney and Donahoe Kearney. J.R.H. This is the epitome of 'nightmare come true' for one Tennessee family. What is usually a happy and exciting time for a family may forever be plagued with confusion and frustration for them - all because of a hospital's preventable medical mistake that was completely out of the family's control. According to this CNN article, shortly after a mother gave birth to a healthy baby boy at University Medical Center near Nashville, he was whisked away by hospital staff. The mother thought it was standard procedure and that he was going for a 'routine checkup'. Little did the mom know, it was anything but routine. When the boy came out of surgery, she learned that he was mistakenly given a frenulectomy - a surgery where the flap of skin under a child's tongue is cut out. He didn't need this surgery, and presumably the baby that needed the surgery didn't get it (there is no comment on that in the article). The doctor has admitted wrong-doing saying, "I had asked for the wrong infant. I had likely performed the procedure on an infant different than the one I intended to ... and I admitted my mistake and apologized." No one should have to go through this - we are happy that the doctor has admitted wrongdoing, and we hope this family will get the help they need to offset any effects this unnecessary surgery may have had on their otherwise healthy baby boy. Hopefully the baby has recovered and won't suffer any long term effects. When preventable medical mistakes happen, they can cause significant and life long harm to a patient, especially a child. Why do unnecessary surgeries or surgeries on the wrong body part happen? 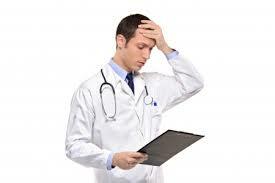 Usually it is a system failure - the lack of a system to keep patients safe and catch and correct mistakes. Sometimes they are minor and can be easily corrected, and sometimes they can affect someone's life. Either way, unnecessary surgeries happen more often than we think - you can read our blog on unnecessary surgeries here. If you think you have been wronged because of a hospital or doctor mistake, give us a call at 202-393-3320. The sooner you take action, the better. We are here to help you - and even if we can't help you by representing you, we offer you information you can use, like our book to help parents who think their child may have been harmed by medical malpractice Picking Up The Pieces After Medical Malpractice: A Parent's Guide.